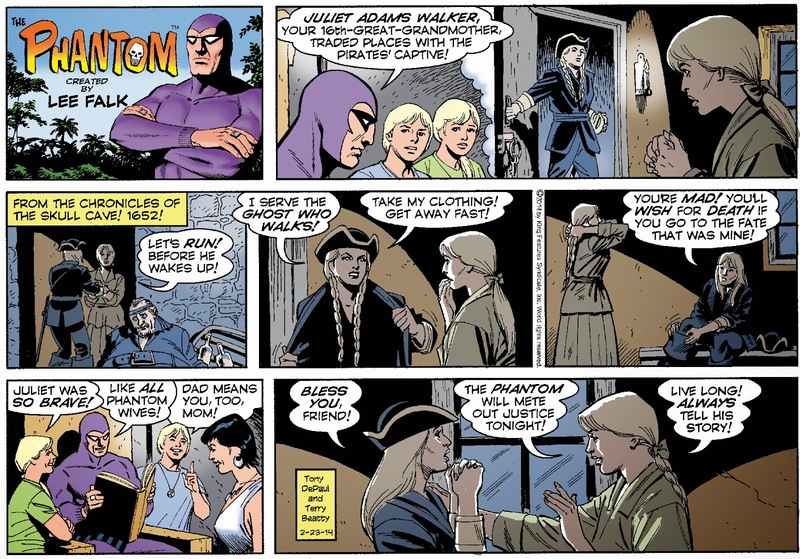 After decades of wanting to break into the newspaper strip side of the comics biz, it still seems surprising to me that I now draw two syndicated features. Here are the latest Sunday pages. 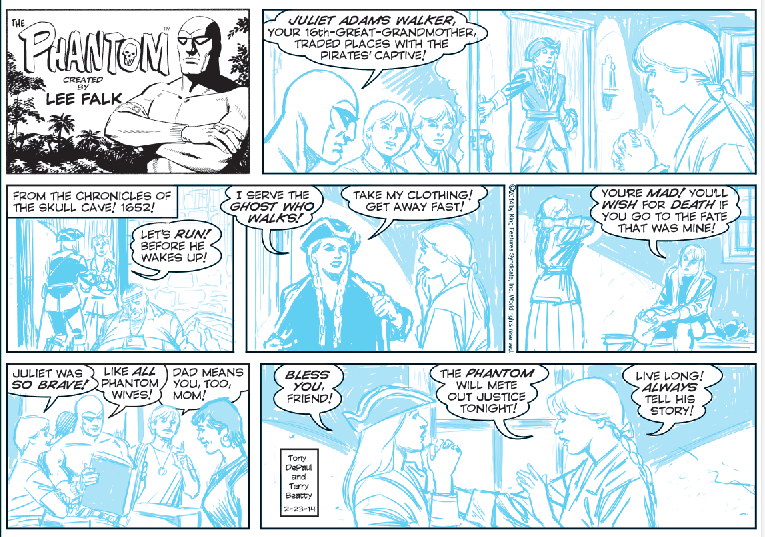 As an extra -- here's the Phantom strip in "blue pencil" form before inking. I boosted the blue a bit so you can see it better -- on the actual print out the blue is a little lighter than this. Thanks for taking the time to post these strips.